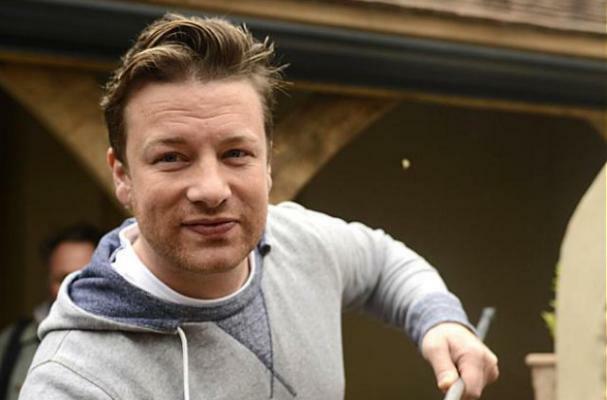 Jamie Oliver feels pretty passionate in his distaste for a few words in the English language. The celebrity chef took to his Instagram account to share a poster made displaying the words he hates the most. "Here are some words that I really hate... and I have banned them from my whole food world... so kindly my friend @jamesverity at Superfantastic design made me this beautiful print of my hated words and I've had them framed and hung in my office so they don't make their way in to any recipes!!" Oliver's list of banned words includes "moist, gush, encrusted, minge, flange, stuffed, gash, and smeared." See the print that hangs in his office below. Love Jamie Oliver but he's becoming ridiculous with word lists. Me thinks this is all going to his head and I hope he wakes up soon.